I borrowed this recipe from my best friend, who claims she borrowed it from Rachael Ray. It’s simple to remember and even simpler to make! Just measure and stir. 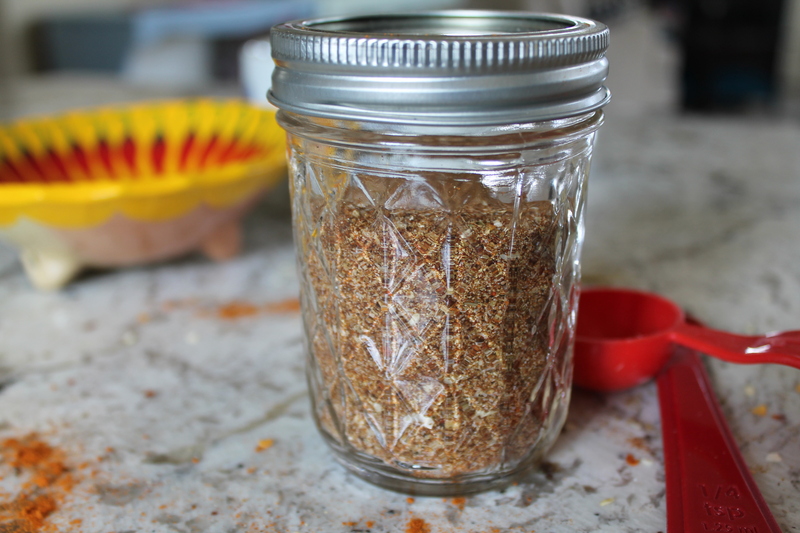 I recommend making at least a double batch so you will have taco seasoning on hand for quick meals and last-minute guests! What could be better than whipping together a meal that you barely had to think about at a moment’s notice? The other great thing about this recipe is that it erases the need to dice and mince onion and garlic. You can skip a whole step of sautéing without skipping any flavor if you use dried onion flakes and garlic powder! 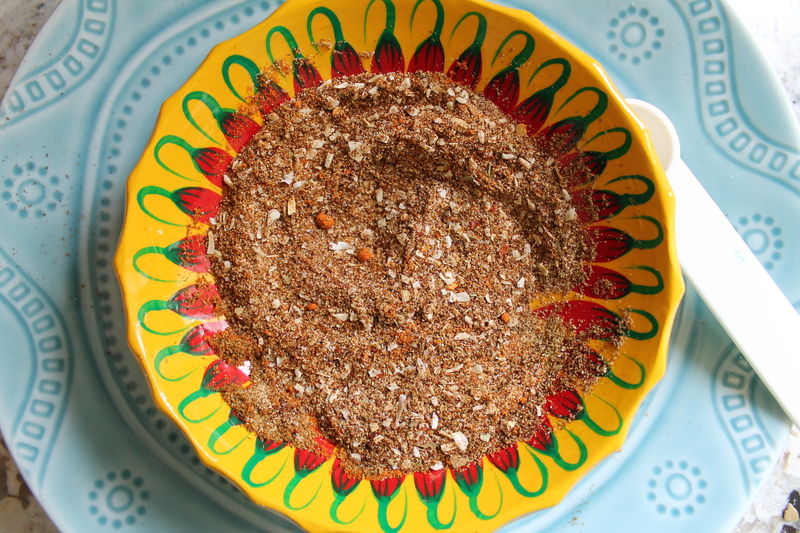 For this taco seasoning, you need your classic south-of-the-border culprits here: cumin, chili powder, onion, garlic, and salt, plus smoked paprika, crushed red pepper, and oregano! Also, if you are cilantro intolerant, I highly recommend you compensate for the lack of cilantro in your future tacos by adding a hearty pinch of ground coriander to the taco seasoning. Measure the ingredients out by tablespoons and teaspoons and then stir them together! Store them in an airtight container. I like a small jam jar for this purpose, because it holds at least a double recipe of the seasoning and it fits on my spice rack! So let’s talk about cooking with this taco seasoning. I use 1 heaping tablespoon of the seasoning per pound of taco “meat”—my favorites are black beans and shrimp, but of course you could use actual meat, as well. 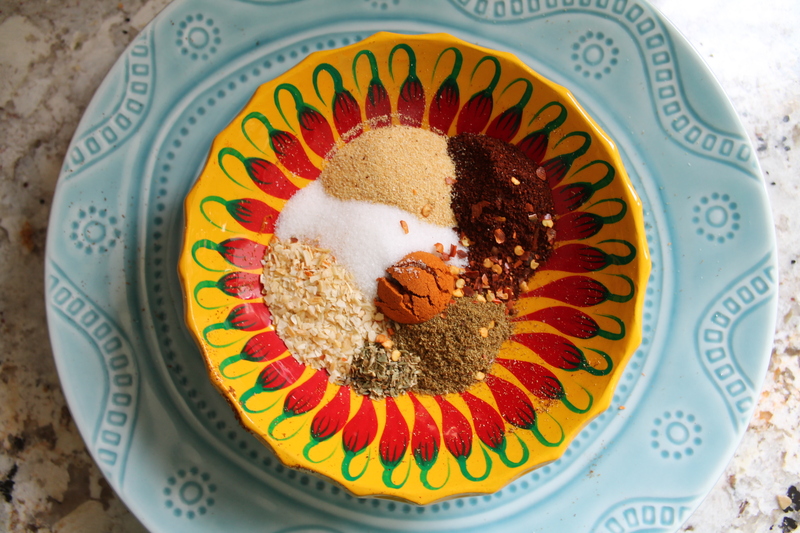 One tablespoon may not seem like a lot, but it is very flavorful! 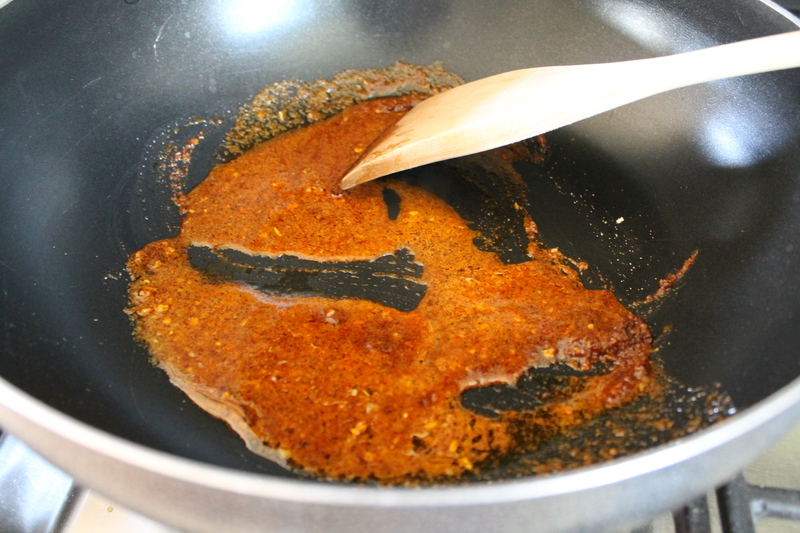 Combine the taco seasoning with equal parts water and oil—how much may depend on what you are cooking. I start with 2 tbsp. each, but beans will absorb liquid, so you may need to add more liquid if you are letting them sit over the heat for a while. 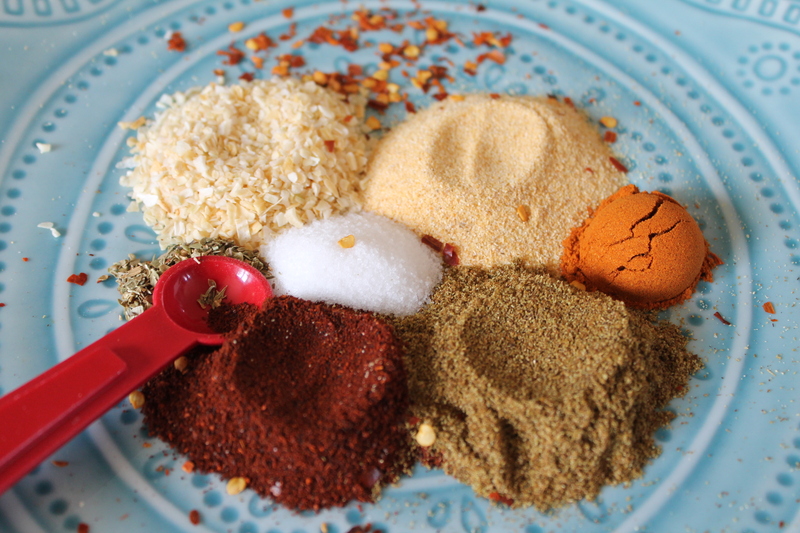 Bring the taco seasoning mixture to a high simmer and toss in your taco ingredients! Cook through completely, then spoon into the tacos of your dreams. Stir all ingredients together. Store in an airtight container up to 2 months. Use 1 tbsp. seasoning per 1 lb. beans, shrimp, mushrooms, etc.